Considering that there will be 40 million Americans over the age of 65 by 2040 and because few advisors know Client Questionnaire proper Medicaid planning, the Medicaid Planning Course is one that was very much needed in our industry. Most have no idea that, in order to receive financial assistance through Medicaid, they have to spend down their “countable” assets to $2,000 (single clients). It is because of this reason that we believe every advisor giving advice to clients age 60 and older should know this subject matter. To learn more about the Medicaid Planning Course, please click here. If you would simply like to learn this subject matter (vs. being formally tested and certified), there are two options. 2) purchase access to an 18-hour recorded Medicaid Planning Course offered online taught by Mike Anthony. 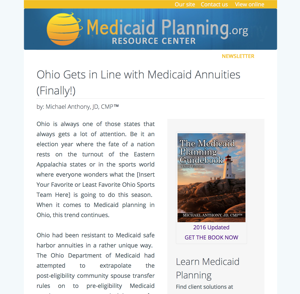 To review the Table of Contents for The Medicaid Planning Guidebook, please click here. 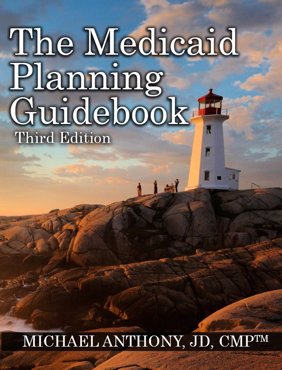 To learn more about The Medicaid Planning Guidebook, please click here. To learn more about the 18-hour Medicaid Planning Course, please click here. If you have any questions, please e-mail info@medicaidplanning.org. To sign up for the 18 hour Medicaid Planning Course, please click here.